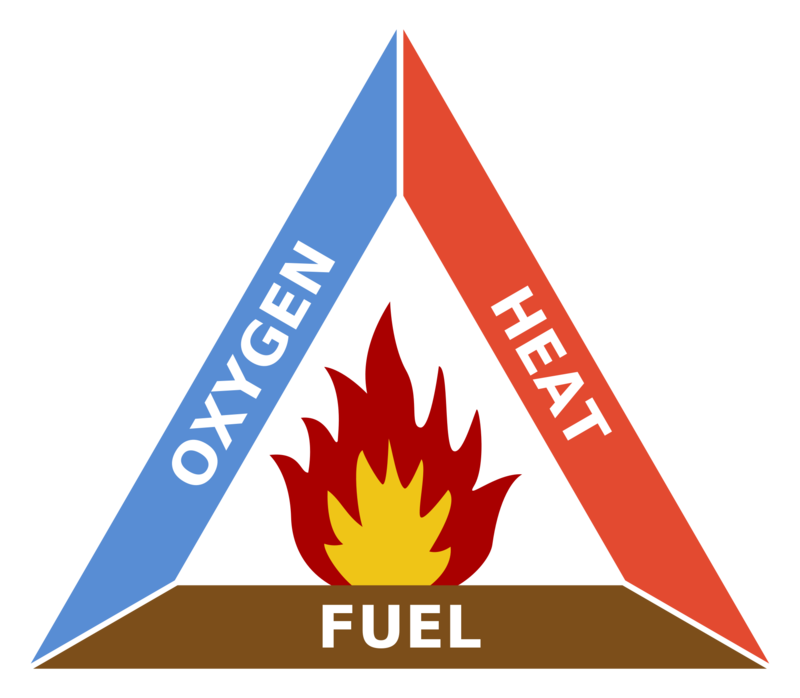 The fire triangle illustrates that three elements are needed for a fire to ignite and keep burning: heat, fuel (any flammable material) and an oxidizing agent (usually oxygen). A fire naturally occurs when these three elements are present and combined in the right mixture. A fire can be prevented or extinguished by removing anyone of the elements of the fire triangle. Fires are divided into six classes depending on the nature of the material fuelling the fire. 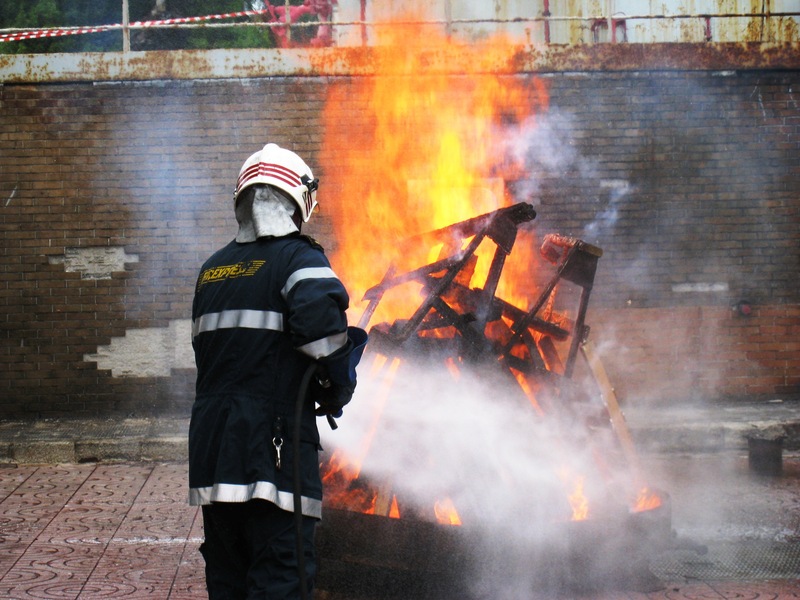 Fires require different extinguishing techniques depending on their class, and sometimes also different techniques at different stages of the extinguishing process. There are traditionally two methods to extinguish a fire. The first is spraying the fire with water. The heat of the fire turns the water into steam and the evaporation process absorbs the heat of the fire thereby cooling the burning materials and surrounding gasses. Additionally, when the water turns into vapour it expands and replaces the oxygen surrounding the fire, starving it of air. The second method is to use fire fighting foam in conjunction with water on Class A and B fires. Class A foams lower the surface tension of the water, which assists in wetting and saturating Class A fuels with water. This prevents re-ignition by e.g. taking out deep seated ember. Class B foams are able to create a protective layer of film on top of the surface of a burning material, disabling air getting to the fire. The Firexpress systems can be used on all classes of fire where water alone or water in conjunction with fire fighting foam are applicable. Extinguishing fires fuelled by ordinary combustibles (Class A) like wood, paper, fabric, rubber and some plastics is a two-stage process. During the first stage, the flames are knocked down by removing the heat of the fire by spraying it with water micro-drops. During the second stage, a jet of water and Class A foam solution is sprayed on the combustible materials. 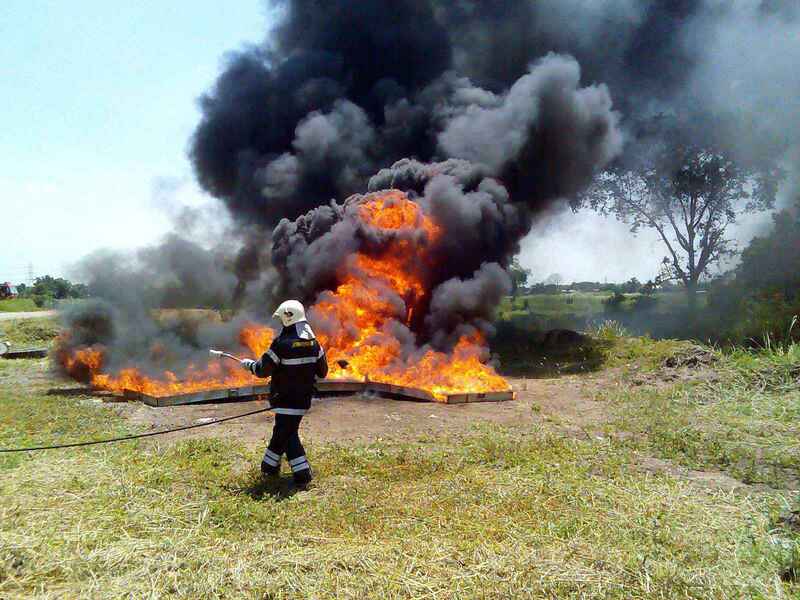 The Class A foam lowers the surface tension of the water, which assists in saturating the materials with water, hereby extinguishing remaining embers residing inside the materials and reducing the risk of re-ignition. 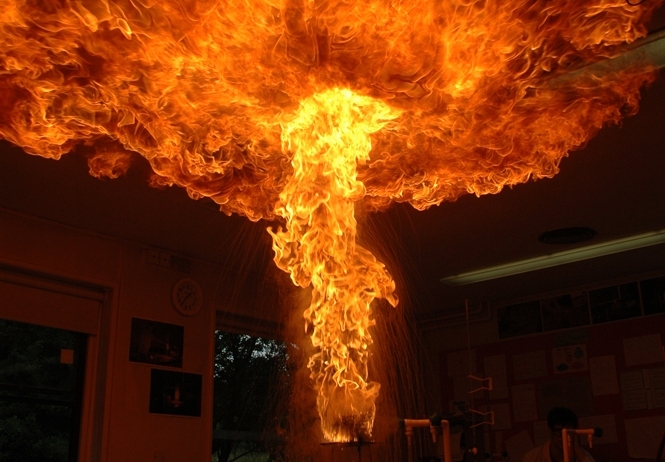 Fires in flammable liquids (Class B) are extinguished by spraying them with a jet of water and Class B foam solution. The burning materials is covered by the aqueous film-forming foam that seals off the flow of air feeding the fire. 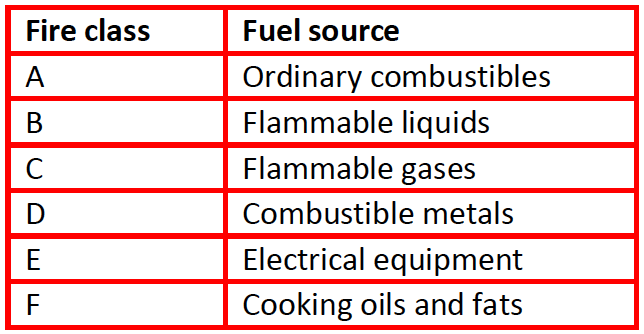 For combustible gases (Class C) a spray of micro-drops will reduce the temperature of the fire due to the evaporation process, and the flames will be extinguished. The surface of the materials where the gas is exiting will be cooled by the micro-drops and re-ignition avoided. 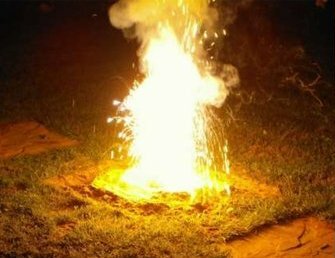 Fires in flammable metals (Class D) are rare as metal has the ability to conduct heat away from hot spots so efficiently, that the heat of combustion often cannot be maintained. Generally water should not be used on class D fires, as it is some cases can aggravate the situation. Using water on fires in electric installations (Class E) can be hazardous to fire fighters as electricity may be conducted from the fire, through the water, to the fire fighter's body and then earth. As the micro-drops made by the Firexpress lance are very small and are not connected to each other, the electric current cannot jump from micro-drop to micro-drop and back to the fire fighter. Exceptionally the Firexpress system can therefore be used to extinguish electrical fires, where the micro-drops remove the heat of the fire through evaporation. Water should never be used on fires in cooking oils and fats (Class F). It will sink to the bottom of e.g. a skillet and vaporizes instantly, ejecting a plume of burning oil into the air. A wood fire is a typical Class A fire. A Class B fire in a mixture of petrol and diesel. 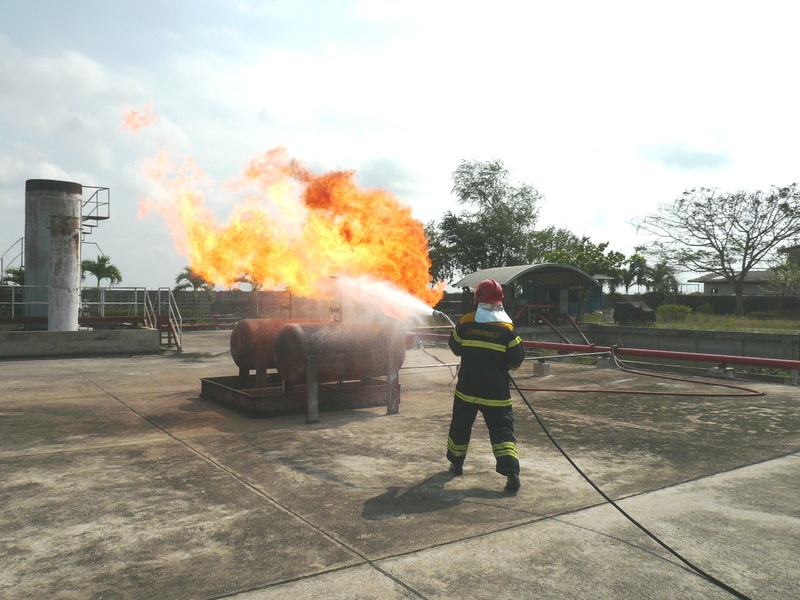 A Class C fire in liquid petroleum gas (LPG), aka. propane or butane. 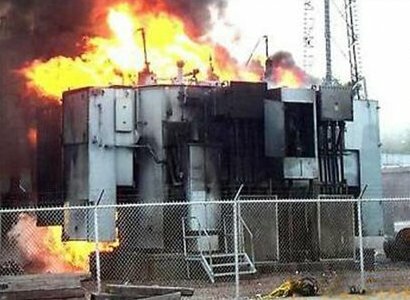 Fire in a transformer station. Fire in a pot with oil sprayed with water.